After announcing its plans to launch ultra-affordable smartphones with unlimited internet, Datawind has now officially launched the Datawind PocketSurfer GZ. 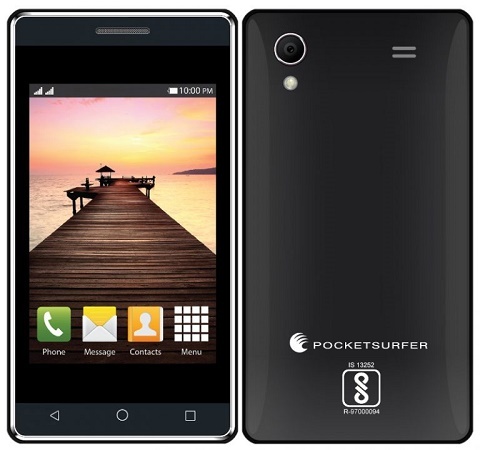 Datawind, known for the low-priced Aakash tablets, has now launched the Datawind PocketSurfer GZ, which is the company’s ultra-affordable smartphone. Interestingly, the company has partnered with Reliance Communications to offer free internet access for one year. While the specs of the Datawind PocketSurfer GZ are not yet revealed, the company revealed that the smartphone will come with a touch screen and would have a rear facing camera with flash. While it is not very clear, the device is said to be running on the Linux OS. The handset is priced at just Rs. 1499.